One of the main reasons we changed our plans for this week (we were originally going to spend a week in an obscure German village in the black forest) was our activity for today – the Deutsches Museum, which is apparently the biggest science and technology museum in Europe. We gave the boys the task of working out how to get there, which they did very well – Declan found the right S Bahn stop, Callum explained that it was on our S Bahn line, and they both worked together to copy a rough map of the walk from the S Bahn to the museum from Google Maps. Any science and technology museum, particularly one that has been around for a while, has two fairly conflicting objectives. First, they have some iconic objects. In this case, quite a few aviation related ones, including the first motorized aircraft built by the Wright brothers, a Messerschmidt, and the U1, the first German submarine. But of course, their second objective is usually to teach people how science and technology works. And that’s not easy to do with a very precious iconic object. The Deutsches Museum mainly did this with diaroma quite exhibits – people using technology, which weren’t particularly interactive. The few places you got to press a button only had about a 50% success rate of the button actually doing something. Some of the exhibits were pretty impressive. In particular, there was an underground labyrinth which was all about mining, with lifesize and small scale models of all sorts of different aspects of mining, from the mediaeval age to the present day. The labyrinth aspect made it each room a little claustrophobic, which made the whole experience surprisingly atmospheric. An aspect of technology that deserves an exhibit equally good in some Australian museum somewhere, given our economic reliance on digging. There was, of course, the usual science playground, which wasn’t bad, although not especially scientific. 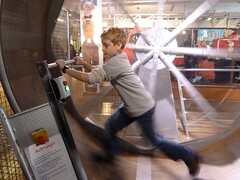 But Callum got a go on a child sized treadmill wheel so there was some technological learning going on. Our ideal science/technology museum does both the museum objects and the science interactivity – Munich is clearly more your traditional museum. 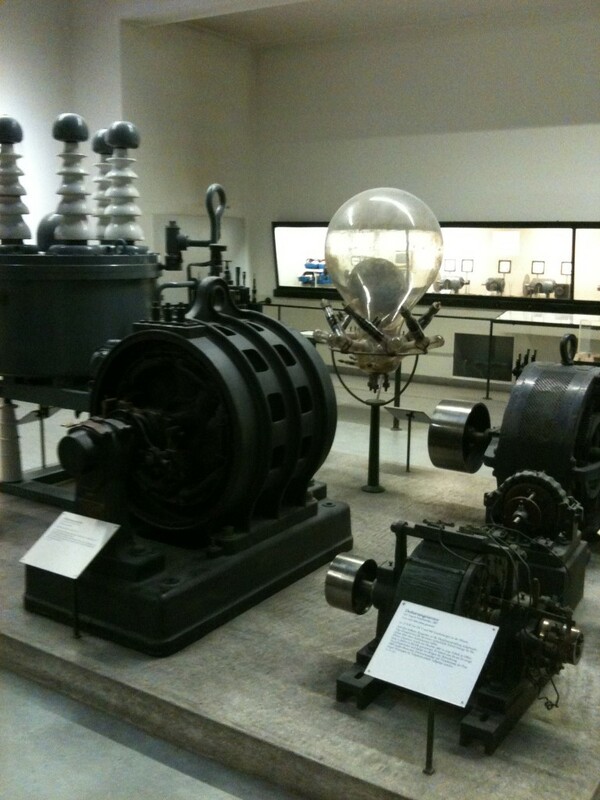 It was definitely well worth the visit, but it’s not top of our science museum rankings. I like your rating system, very useful. You have started it and will have to keep it going – no pressure! I suspect you may need to include a few decimal places as this one scored very high and I wonder whether there will be a lot between other museums and some ultimate experience you are yet to have where your wildest dreams of interactivity and learning are realised! Thanks, I’ve realized that I’m getting more lenient as time goes by. I was much harsher on Singapore. But it is quite fun, and we’ll certainly be visiting as many science museums as we can find, so I expect I’ll keep it up.